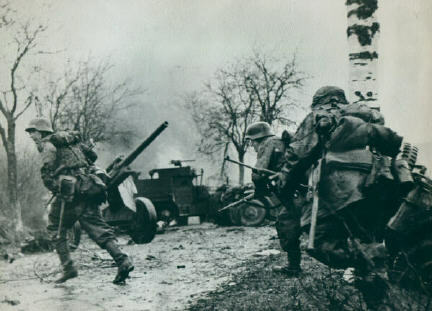 Battlefield Photographs of Germans with other Captured allied semi-automatics! the first two Images on this page are credited to Jeffrey Chorbak who sent an image from the book "NUTS ! THE BATTLE OF THE BULGE", by Donald Goldstein, Katherine Dillon abnd J. Michael Wenger. pages 75-78, and also to Paul (hordan) from germandaggers.com thanks for the great work in finding these beauties!! 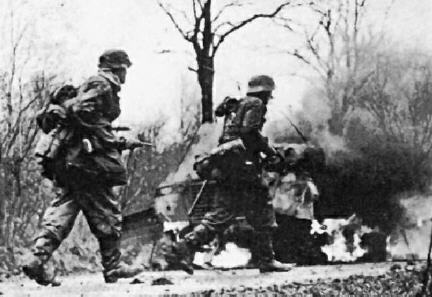 These are from a series of photos taken in the Ardenne on Dec. 18th 1944 of KampfGruppe Hansen. All 4 photos depict the same unit, several troops have picked up M1 carbines from members of the American 14th Cavalry group. 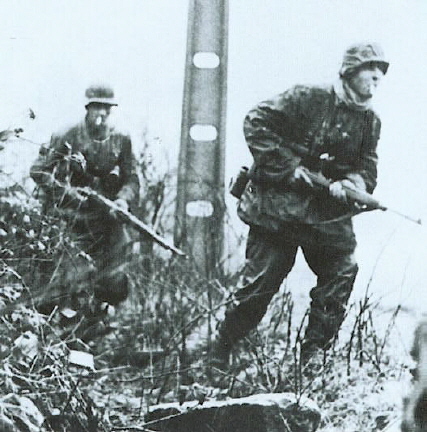 I have yet to find a photo which shows a German with a Garand rifle.